I am often asked if the Mexican government places restrictions on foreigners renting their property in Cabo? Not at all. In fact, most foreign owners rent their Cabo property partially or completely. Vacation rentals are a big business here in Los Cabos. The part-time population swells dramatically during the months of November through April when temperatures drop in the northern U.S. and Canada. Demand for Cabo rental properties soars and prices tend to spike during the holiday season. Many purchase Cabo real estate to generate income greater than the rate of return currently available from demand deposit and money market accounts and to diversify their investment portfolios. (In fact, I just did it myself! 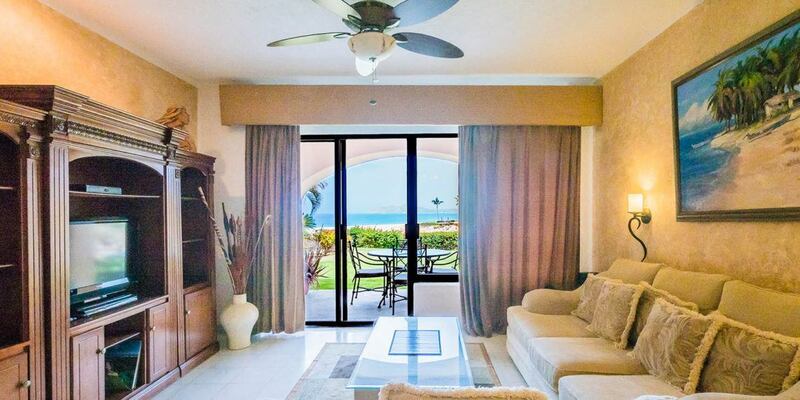 More about my condo rental soon…) Here are a few recommendations and rules of thumb when considering using your home as a Cabo rental property. Your Cabo rental potential begins before you buy. It is important to purchase a property attractive to Cabo renters. My experience is most renters search for a two bedroom property with a view of the ocean. Ask yourself, “What are Cabo vacationers and part-time residents most interested in?” Most want to sit on their private patio or balcony and watch the sunrise with a cup of coffee or enjoy watching the ocean in the afternoon or evening with a glass of wine or favorite beverage. Cabo renters typically do not rent a car therefore offering a property within walking distance to shops, restaurants, bars and the beach is critical. It is also important your Cabo rental property offers popular amenities like swimming pools, Jacuzzis, Wi-Fi and satellite TV. Gated communities with 24-hour security offer the Cabo renter comfort and peace of mind. If you purchase a nice Cabo rental property with the qualities and amenities stated, it will likely attract rental occupancy for 65% of the time or 36 weeks a year. Most renters will wish to occupy a property for 4-6 months during the winter months. Owners will also likely acquire additional rentals during the summer months as families plan their Cabo vacations. Aggressive marketing and advertising of your Cabo rental property can generate significant revenue. Of the rental income generated, owners traditionally retain approximately 50%. The other 50% pays for management fees, maintenance, utilities, taxes and other expenses. In short, renting one’s property can become quite profitable. How does all of this add up? Calculating the profit generated from your Cabo rental is known as the Return On Investment or ROI and we will discuss that in an upcoming blog. The key to success for non-resident owners when renting Cabo real estate is a good property manager. Cabo offers exceptional property managers with vast experience working with owners and renters providing a variety of services. Management fees vary with the degree of oversight, but typically require a flat fee and a percentage of the rental income. A 25% fee is standard. Services typically include airport transportation, check in, routine cleaning, inventory, collecting rents, paying bills, check out, making bank deposits or sending income checks to the owners. Purchasers typically buy Cabo real estate with the intention of renting their Cabo property at least part of the time. The ever increasing number of visitors each year creates a strong demand for vacation rental properties. When not utilizing their beautiful second home themselves, experienced property management allows owners to rent the property as a vacation home. Cabo offers a strong tourism market, low expenses and excellent ROI. Contact me for additional information about purchasing your Cabo vacation home and Cabo vacation rentals. Thank you for your inquiry. By separate message, I am providing you with the names and contact information for two property managers who I recommend. They both have extensive experience with managing rental properties here in Los Cabos.